With the SRC 40th Anniversary celebration plans underway we are putting the call out to all our creative runners to help design a commemorative logo for the year. Please note it doesn’t have to be perfect as we can refine it with modern technology. Half, 2:11:08 I have only ran the distance once in a training run. A distance I have wanted to do the last two years at Shepparton Running Festival but was injured. What inspired you to start running? Wanting to maintain fitness while at uni. Only got more regular 5 years ago. How many years have you been running? Would say 5 years and dabbled for a couple before. Typical training week Currently netball season so netball training is Tuesday and Thursday with game on Saturday. Try to do a run Sunday and/or Monday and then Friday depending on how I am feeling. Pilates on Friday nights. Goals Complete a half marathon and get consistently below 25:00 min for 5 km. Biggest challenge in running Keeping the body injury free. I tore ligaments in my ankle 2 years ago which means other ligaments have more load and I need to strengthen these areas. And the other would be mental barriers. Biggest breakthrough in running. Being able to pace myself. Most enjoyable run would be one which feels easy but is a good time. If you could run in any event where would it be ? I don’t know. I just enjoy running for fitness and stress relief. Who inspires you ? Me maintaining fitness. A few people have asked me how I got on at Olympic Park Medial Centre last week, so I thought I would tell all. No running until restore normal Gait walking. So after a discussion with Chris Armstrong, I started the recovery and strengthening process. I do some body weight glute exercises at home. I have also added in pilates and deep water running into my new training plan. In 3 weeks time, I will get a gait assessment at Lakeside Podiatry. When will I run again? I’ll let you know when I know. If someone has got a niggling injury and they have tried all allied health people here I can highly recommend seeing a sports Dr at Olympic Park. You will need a referral from your own Dr. Soon to be back in Shepparton Australia. But while she was overseas parkrunning she completed the following parkruns. 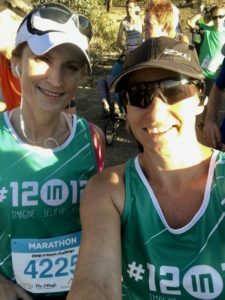 With the 12/12 one of the main thing for Narelle and I is avoiding (or minimising) injury and keeping our health at optimum, so leading into Adelaide we had to manage both. Narelle got sick with the flu on Monday and was hit for six, and my shoulder had deteriorated considerably over the last few months to be fully locked out so I had to work in a shoulder hydro treatment between #4 and #5 to break down the scar tissue (which also meant 10 days of no running) and I continue with physio twice a week to continue to get it moving (big thanks to Aaron Plant!) Narelle took a visit to Phil Chua the guru naturopath who provided her with a magic potion and by Saturday she was ready to go… although in a marathon you don’t really know how your body will go until you get well into the run. Adelaide turned on the sun for us and we had great conditions (although a balmy 21 to start with – it dropped down to around 16/17 -perfect!) The course was really scenic with a mix of flat and gentle hills (we love a mix as it gives the body a chance to use different muscles) – The course stuck close to the Torrens river weaving around Adelaide Oval, the Convention Centre and past the zoo (we even heard the lions … and was very glad they were on the other side of the fence!). Narelle and I both ended up doing our quickest time for 12in12 sofar, so we were pretty happy with that considering our lead up. Race #6 sees us going to Traralgon – this weekend! So a back to back… the plan.. to slow it down and use it as a ‘recovery’ run..if that’s possible .. See you at the finish line! Please note- the Tuesday training session with Chris Armstrong coaching is not put on for free for the public. The sessions are provided and paid for by the Shepparton Runners Club. These sessions are free to Shepparton Runners Club members. If you want to take part in these sessions we invite you to join the Shepparton Runners Club. To become a member of the Shepparton Runners Club please visit our website https://sheppartonrunnersclub.com.au/ and click on the tab Join us. Regular Tuesday sessions are at the south end of the lake, with the following track sessions at the Shepparton Athletics Track all from 5:45 pm. And the Shepparton Runners Club also provides an easy training session on Thursday from Princess Park. Even though this is an easier session, you will find all good training plans have an easy mid-week session. Varies depending on what training for – last year and through to end of summer was training for half Ironman and triathlons so swimming and riding a lot as well but now concentrating on more running mix of distance and intervals, though I’m not strict and just do what I feel (or have time for). However, my favourite exercise which I do at least a couple of times a week, and have done for quite some time, is a variety of high intensity strength training in my shed. Discovering the importance of variation including sprints, intervals and high and low intensity periods. If you could run in any event where would it be? No place or length specifically, just any event by the beach or hills where it’s not too hot! At the moment – Kurt Fearnley. I have always admired him when seeing in him compete in the Olympics or listening to his speeches, but after watching his final event – Gold in the wheelchair marathon in the recent Commonwealth games – I decided to read his book. Now after learning of his life story including training and competing and the details of crawling the Kokoda track and crawling around on the deck of the winning yacht in raging seas in the Sydney to Hobart, I have drawn on this inspiration daily. Incidentally, he calls his wheelchair his “legs”. We have all had the advice, but I didn’t listen or care for a long time – eat properly. Advice now would be to do some research on this as what we are being told is not necessarily the best advice, and although not for everybody, give a ketogenic diet a go. Can’t really think of anything funny, but fun and notable – experiencing Mad Cow Mud Run and Bright Spartan Race a couple of years ago with Kate. All other events are here under the event tab, and remember to click going if you are going so other people know who else is going. Up until 10 years ago, I could rely on youthfulness to run long distances in a time I was happy with without getting injured. During the week I would run 10 km two -three times per week, and on the weekend I would run 20 or 30 km on Saturday with 10 km on Sunday. Every session was run at about a 5 min/km pace. Races up to a half marathon weren’t run much quicker. This worked for me without injury and I could run up to 4 marathons per year doing this training. Add on about 10 birthdays and the body started to say I can’t continue doing this and just because it worked before something now needs to change. So along comes Chris Armstrong and a lot of research all stating the same thing. The biggest wake-up call was to run your long runs at a slower pace. If I was doing a 20 -30 km every Sunday it shouldn’t be at race pace with an aim of a PB every week. What worked before was now wrong. Well, it was wrong before but I didn’t know any different. Everything I read backed up what Chris was telling me. The idea behind this slow long run was to conserve energy so I wasn’t fatigued for the shorter quicker sessions during the week. Also, the other thing I needed to learn was dealing with injuries and little niggles. Niggles now are seen to be part and parcel of running in later years. And again several people from elite runners to triathletes pointed me towards deep water running as a method of recovery and low impact training. Set new types of goals was now the order of the day. I’m pretty sure lifetime PBs are in my past. 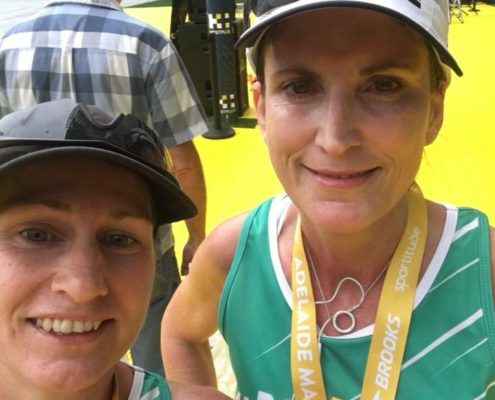 Thankfully, running provides such a diverse range of events and goals to achieve for all of us, no matter where we started or where we are finishing. Complete a set series of races in your hometown or further afield. Take on the challenge of a new distance or discipline like trail racing. Raise money for charity. Look for age-specific competitive opportunities and get the thrill of competition from going against your peers. Time isn’t the only way to measure success, and with sensible and perhaps a bit of creative goal-setting, the thrill of success can be still just as strong. Each of us ages differently, but we all hope to ensure our relationship with running stays strong for decades to come. Using Sue Olley as an example. Not only an awesome athlete she also made an intelligent move about 4 years ago. 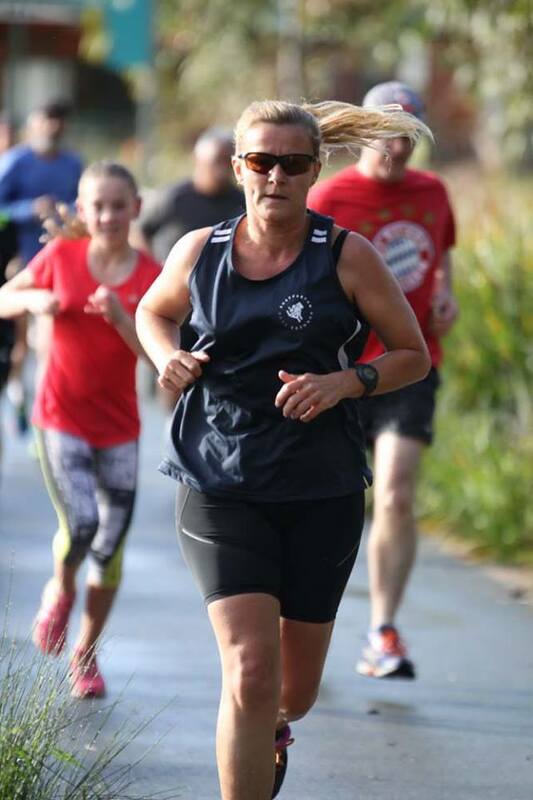 After clocking up a handful of marathons, halves, and 10 km races before hitting 60, she now only runs parkrun. Sue is well on her way to completing parkrun-alphabet. I have Gold Coast marathon on the wish list and Melbourne marathon on the to-do list. This year will be Melbourne marathon No 15 for me. Deepwater running – I will be adding deep water running into my training plan while I am battling a knee and foot niggle. I have added it to my training recovery 3 times per week for now and when I start a training plan propper I will add deep-water running in on one day per week.Deep water running is just jogging in water deep enough that your feet don’t touch the bottom. As simple as it sounds, though, it offers many benefits. Deep water running is not only a commonly recommended rehabilitation tool for sports injuries, but it’s also a fitness and accelerated training method used by athletes and exercise fanatics everywhere. I have a full body superset workout. You will need a little bit of space for the walking lunges and a chair or bench for the dips. If you don’t have the space to do the walking lunges, you can substitute with alternating lunges. Please support the SRC sponsors. We know it can be hard to find time for appointments, so we are making it easier than ever before to see one of our Podiatrists. 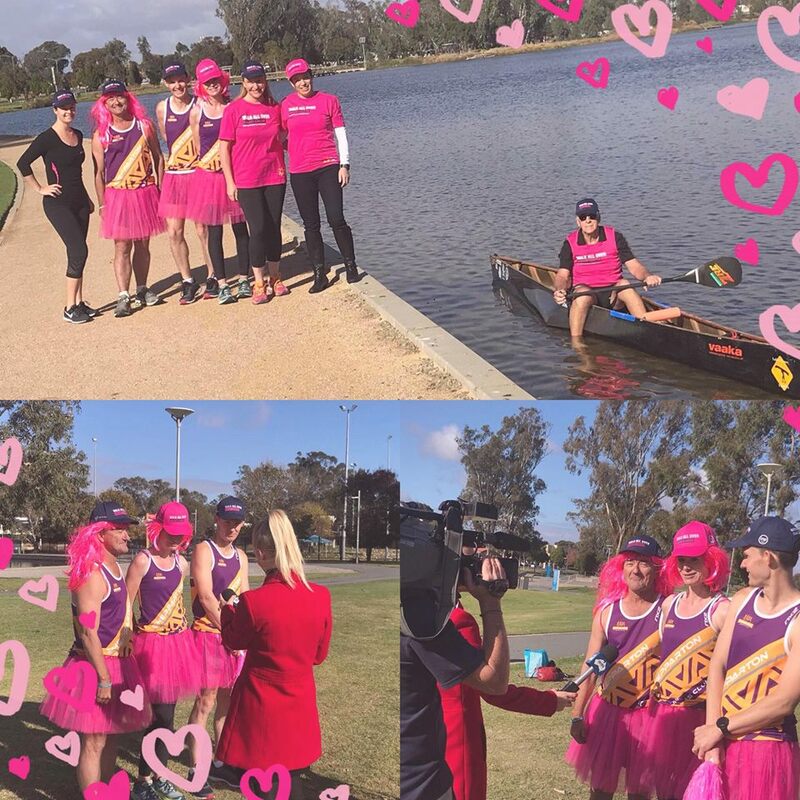 The Shepparton Runners Club is honoured to support the Mothers Day Classic this Sunday. 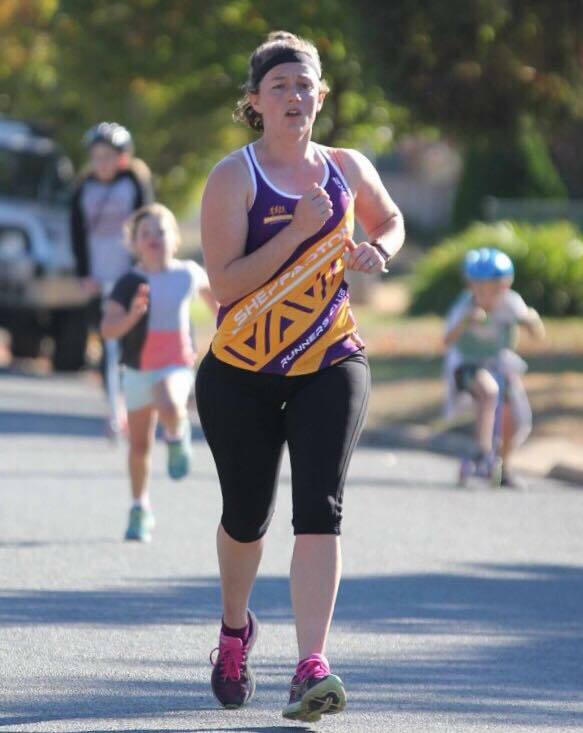 The Shepparton Runners Club will provide pacers for the run. Thanks goes to Kathy Fuller allowing the cross promotion of the Shepparton Runners Club on Facebook and the Shepparton News. It seems the pacers will really get into the spirit of the day by dressing up in pink. We may even see a tutu or two. Earlier on in the week at separate occasions, Chris Nicholson, Mathieu Ryan and Kate Dation went tutu shopping. Chris and Matt bought their tutu without question. But then Kate goes in and the lady at the shop was like “um…. are you with the other male runners? ?” Is it odd that Matt and Chris weren’t questioned but Kate was? The Mothers Day Classic will be a great morning supporting a great cause. If you can help Sao and her friend out please contact Sao at training or via Facebook. What inspired you to start running? Nothing really. Always been right into health and fitness and most sports. About 40 years. In my early twenties I started competition running under my coach Noel Hussey, but didn’t really have the right attitude and then focused on squash and cricket for a few years. Gym twice a week for either grit or pump and weights, and about 40kms of running. Goals – To run a marathon time that I am really happy with, which will be soon. 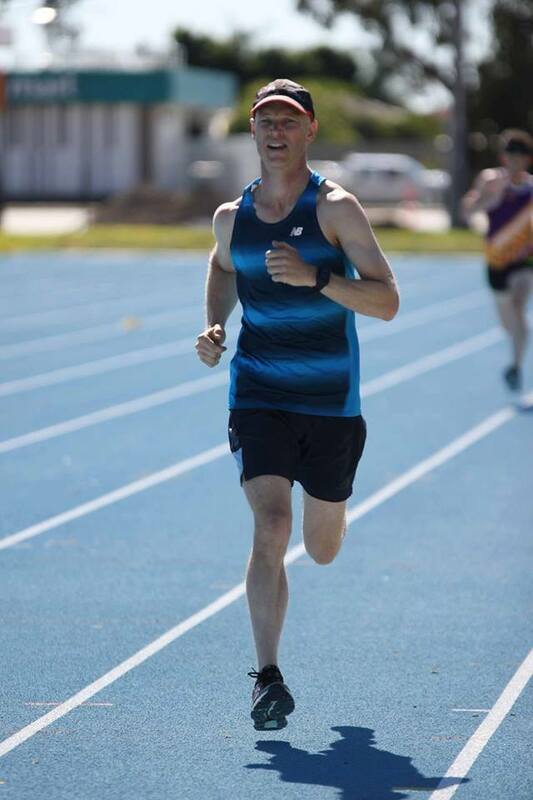 Biggest challenge in running – First competition run in my early twenties at Echuca (realization of the standard of runners around at a higher level and where I needed to be at). Also changing running habits of the past 40 years to prepare and recouperate properly..
Biggest breakthrough in running. 1;28 for half last year. 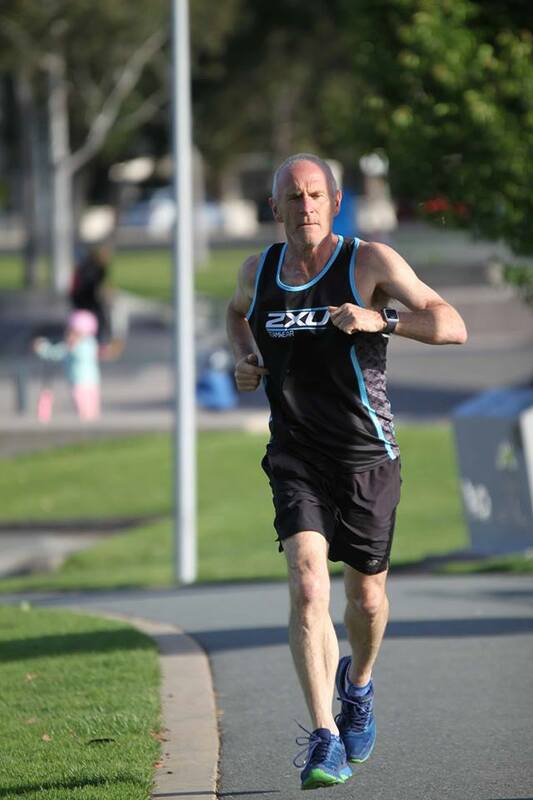 Who inspires you – Kevin Bell runs exceptionally good times for his age, plenty of young people would be more than happy with his times. His Park Run percentage ratings speak for themselves. Dave Frizzell and Sue Olley also does exceptionally well. 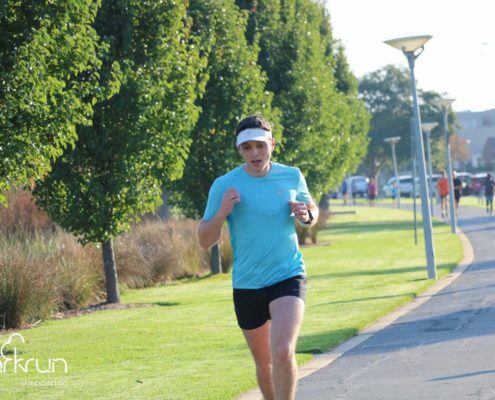 Any funny or notable moments – Rob Hearn at Park Run – when coming up behind a group of walkers, he yelled out elite runner coming through – it was a classic line as was the look on their face when he passed by. The other one was when we had just started Park Run, a local loony watching, took a set on me for some reason yelling out as a couple of young kids sprinted off at the start line “even the kids can beat you”. Just thinking about still makes me laugh. Fifty is the age where performance declines become obvious, and can no longer be written off solely to non-sport commitments like family or job stress. Plus, other things occur at 50 that move aging to the forefront of one’s mind, like reading glasses, grey hair, facial wrinkles, and so on. Expressions of Pye is a health and fitness blog written by Sarah Pye a former SRC member. Sarah covers topics like recipes, fitness and life. Sarah will give you practical ideas for your health and fitness without going to any sort of fad diet or extream exercise. She explains a lot of body weight exercises as well. This will be our first handicapped cross country event for 2018, the course is 4.9kms and is mostly grass and gravel, is quite flat and will have an obstacle or two to mix it up. Everyone is welcome to join in the fun. Registrations from 8:00am with the first runner leaving at 8:15am. You can also reply to the event to register. Weekly Tuesday training at the athletics track has stopped for now. Tuesday’s training is back at the lake from 5:45 pm weekly. The Shepparton Runners Club has organised future training at the track on the following dates. I will try to keep this updated. If you see a race that you are SERIOUSLY interested in going to, click on the GOING tab. This may encourage others to go and assist with carpooling and accommodation sharing. 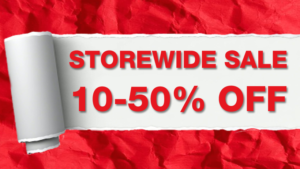 So again it’s as simple as clicking on the Offical SRC Facebook page. then click on the Events tab on the left-hand side. Then click on the events you ate likely to attend. If you are unable to turn up to training on Tuesday or Thursday can you please let him know. A text message or a Facebook message via Norah is fine. We have done this in the past and it was of great benefit to Chris. Also, remember Thursday’s sessions are set out as an easy social run. A great chance to chat with other runners and have a social chat while running. All training plans will have a mid-week easier run in them, So come along and join in on the fun. The O’Keefe Challenge marked marathon number 4 for Kathy & I for 2018. The O’Keefe rail trail started from the outskirts of Bendigo in Junortoun and followed the trail passing through Axedale, Knowsley and finishing on the Heathcote oval. 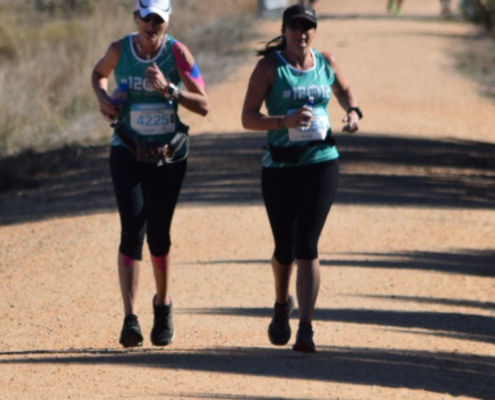 There were 130 other marathon starters on the day all eager to enjoy the scenery of the Campaspe River, Lake Eppalock and the surrounding bushlands. I had a fantastic first half run, up until the 25km for me. I was enjoying the scenery, the rivers, bushland and the cheering spectators, I was taking it all in. I even didn’t mind the challenging hills at this stage. Then things began to change around 25km mark. I struggled with the constant uphill or do I call it one very long incline. There was no relief in a rolling downhill. The constant climb began to wear me down both physically and mentally. The heat of the scorching sun also began to play with my mindset. I remember thinking to myself at the 27km point that this is going to be a bloody long way to the finish line. It was too early in the run to be feeling this way and I had to try and change my mindset to get through. My quads were burning and I had begun to feel nauseous. I was not going to stop I pushed through, knowing that my temporary pain and discomfort will soon pass, when I get to the finish line. I stopped and walked a lot of this run, and that is ok. For this is not a year of PBs it is a year for change. When Kathy & I run each of our marathons we run for the 1 in 5 children that are sexually abused each year. We run to educate kids about personal safety. It is our mantra that if you Imagine with all your mind, Believe with all your heart and Achieve with all your might, change will happen! Bright Parkrun plus Bright fun run. Last weekend Tara and I completed the 13.3 km trail run at the Bright Fun Run. We popped down on Friday night to squeeze in a tourist Parkrun on Saturday morning as well. The 14 th Bright Parkrun had about 45 runners participating, about half of those were tourists. It’s a pretty run along a gurgling creek, out and back, and mostly flat. The trail run on Sunday was anything but flat. The two main features were the Hill of Death, a section that felt almost vertical, and Higgins Lookout, reached by switchbacks to climb the hill overlooking town. The last few kilometres were downhill single track through a beautiful pine forest. Tara said this was the best trail run she’s ever done, and I agree completely. 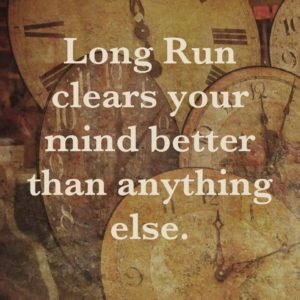 What inspired you to start running? To not let age defy me. I reached 40 and wanted to change my ways. I have always enjoyed running, but wanted to be more committed and consistent (running 12 months of the year). I wanted to enjoy trying to keep up with my family and their lifestyle. I do enjoy the feeling of being fit. How many years have you been running? Since mid 2012. I had ran on and off, but 2012 was where I made it part of my lifestyle. Typical training week – At present 4 – 5 times a week. 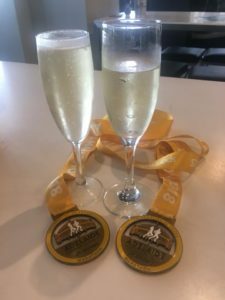 Goals – To run a marathon, probably London Marathon as I lived in London for a number of years and this would be a great opportunity to go back. Biggest challenge in running – completing a 25km leg of the Ned Kelly Chase. It is still the furtherest I have ran to date. Biggest breakthrough in running. Running my first Half was very memorable and being under 2 hours made even more sweeter. I guess it was a distance I had never considered doing as I have always been a 5km runner.